Make sure every bath or shower you take has a great source of water with this top-notch chrome faucet from Delta. It also comes with a lever handle to let you control water flow and temperature. 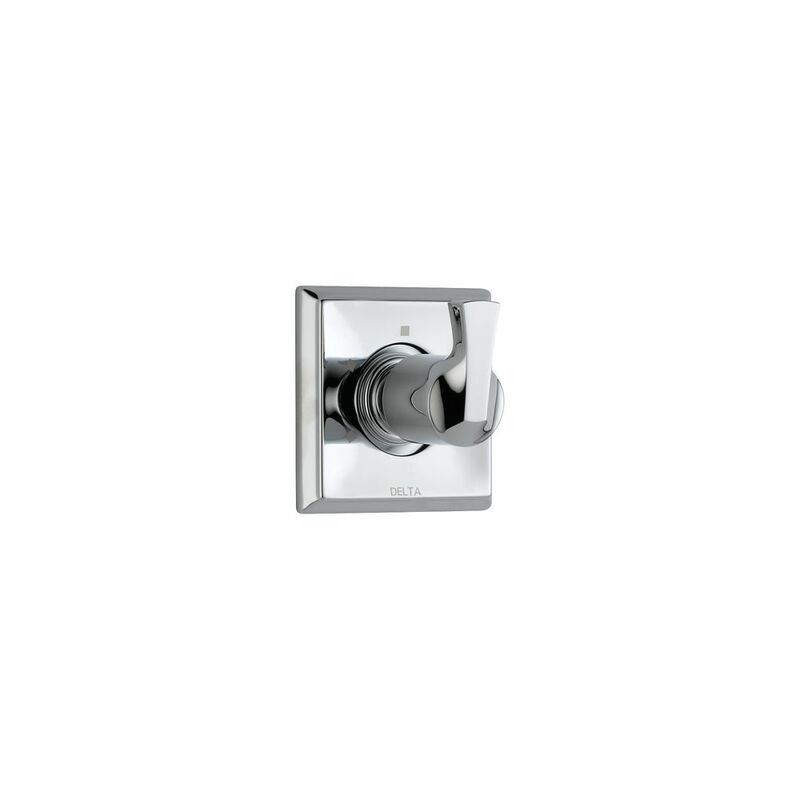 From the experts at Delta, this modern chrome-finished shower faucet brings a touch of style to any bathroom. It also comes with a stylish lever handle that gives you quick-and-easy control over water flow and heat. Sensibly styled, the Delta Classic Single-Handle Tub and Shower Trim in Chrome features a dual-spray showerhead, a single lever handle and pressure-balancing technology. This trim kit has a Monitor Scald-Guard valve to help keep water temperature within +/-3 degrees Fahrenheit. Built in sleek style and long-lasting utility, this chrome-finished tub shower faucet from Delta is a must-have for your bathroom. Turn the stylish lever handle for quick and easy control. Tub Shower Faucet in Chrome Make sure every bath or shower you take has a great source of water with this top-notch chrome faucet from Delta. It also comes with a lever handle to let you control water flow and temperature. Tub Shower Faucet in Chrome is rated 5.0 out of 5 by 3. Rated 5 out of 5 by FFS from Great product, worked just as needed. Easy instillation. Great product, worked just as needed. Easy instillation. Rated 5 out of 5 by Tazzie from Delta Dryden 3 way diverter I am building a new house & used this in a shower that had 2 faucets & a rainhead, it works great . I would definitely recommend it .